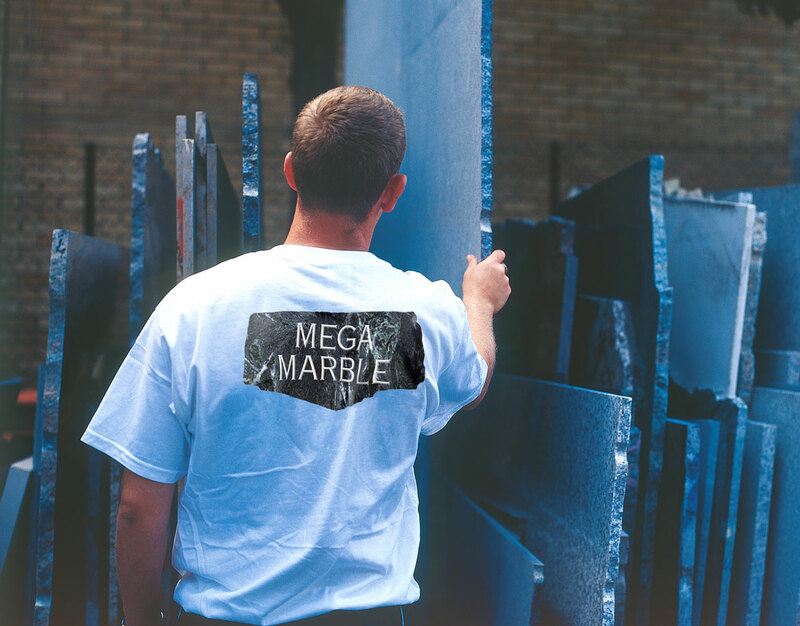 Established interiors company Mega Marble commissioned WhiteLight to create a smooth, sleek new look along with a carefully targeted marketing campaign to promote their range of luxury stone products and to launch their chic new flagship store in London. WhiteLight produced: Logo design, brochures, stationery, folders, showroom graphics, street and press advertising, vehicle livery, packaging. 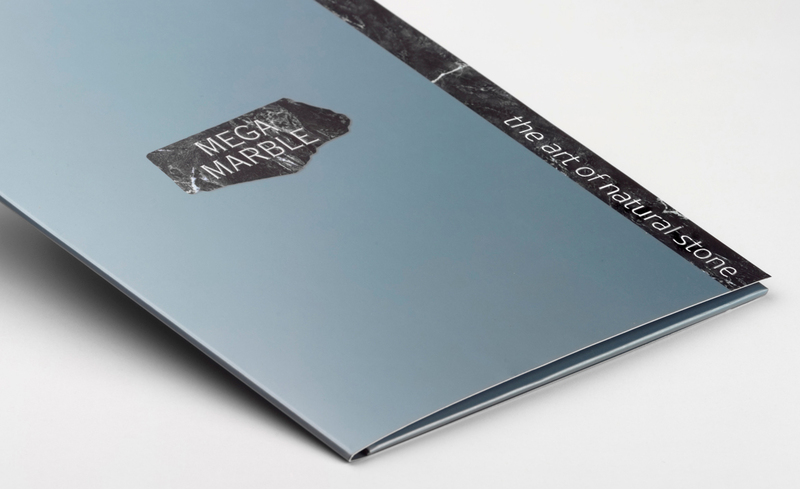 To complement the main Mega Marble logo, a series of single-colour versions was developed. Each colour was sampled directly from the range of marbles available, highlighting the amazing variety on offer . 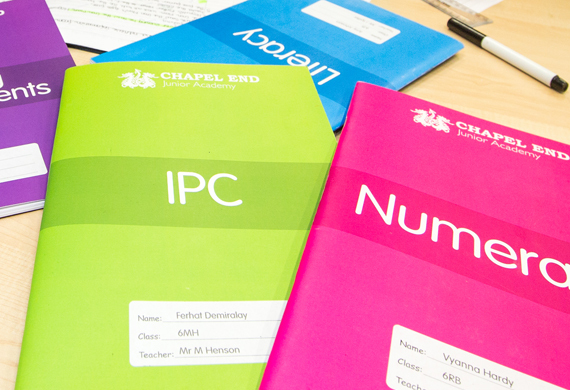 Stationery was printed on highly tactile textured stock to emphasize the products' natural aspect. We also designed delivery vans and workwear. 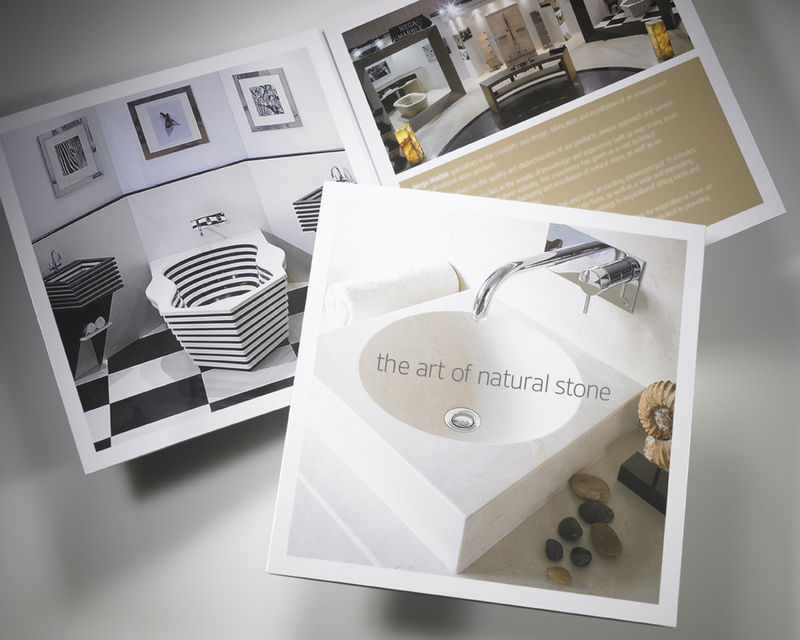 A series of luxurious brochures was created to showcase the company's creative craftsmanship. Beautiful commissioned photography and high-quality print widened the rebranded company's appeal to a whole new client base.